The department of Cardiothoracic and Vascular Surgery (CTVS) deals with complicated vascular surgery procedures. 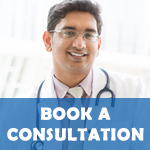 Coronary Bypass, MIDCAB and Beating Heart Surgeries are performed here on a regular basis. Besides regular equipments, the CTVS also has the latest and advanced BP monitors and Defibrillators, Ventilators, Datascope IA Balloon Pumps and Syringe Pumps. Absolute sterility is another critical aspect of CTVS. Double autoclaving is done for all equipments, linen etc. - a precaution underestimated at other places. The hospital has consistently maintained over 99% success rate in all types of Open-Heart surgeries including Bypass Heart Surgeries. The newest technique in Open-Heart surgery - "Beating Heart Bypass Surgery" has been excellently adopted and 100 consecutive such surgeries have been conducted with 100% success rate.